Fall is one of the best times of the year to hike in New Brunswick. As summer turns into fall, the air turns crisp and the leaves change colours, our hiking trails transform into breathtaking masterpieces filled with red, yellow, and orange. 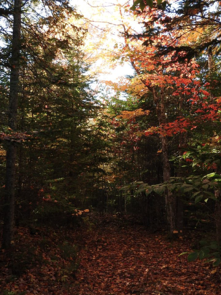 We would like to share with you 10 trails that are perfect to showcase the beauty of NB's fall. Matthew's Head is a gorgeous trail located in Fundy National Park. This trail takes approximately 1-2 hours to complete and is rated moderate. This trail gives you the perfect opportunity to take in the rugged Fundy coastline and the beautiful fall colours. Fundy is also a popular destination for fall biking. Don’t have a bike? No problem, our Sussex and Moncton locations have partnered with a local outdoor adventure store to provide guests with a Fundy Adventure package, which includes bike rentals. For more information on this package, please click here. The Coastal Trail, also found in Fundy National Park, takes approximately 8-10 hours to complete and is rated difficult. The Coastal Trail will challenge you, but will be worth every minute in the end. This forested hike traces along the coast and offers beautiful views of the Bay of Fundy and showcases the beautiful maple, birch, and oak trees. Dickson Falls trail is the final Fundy National Park trail on our list. 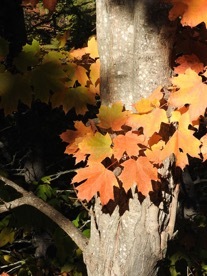 This 30-minute trail is classified as easy and is the perfect trail for the entire family to take in the fall colours. This trail is located under a beautiful canopy of bright coloured trees and leads to Dickson Falls, which is a peaceful waterfall sure to impress the entire family. 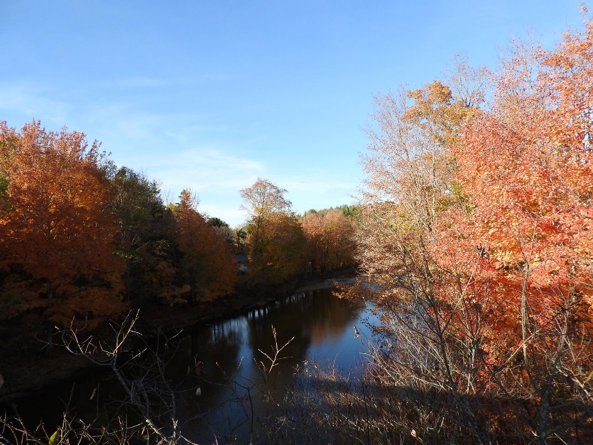 The Sussex Nature Trail is 4.8 kilometers and follows Trout Creek from downtown Sussex all the way to Sussex Corner. The calming trail will leave you feeling refreshed and gives hikers the perfect opportunity to take in the impressive fall scenery and wildlife located along the Creek. The Sussex Bluff Trail is a 3.5-kilometer trail that is located near Sussex Corner. Hike your way through the colorful forest to the peak. 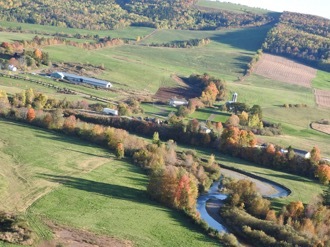 The peak of the trail opens into a beautiful panoramic view of Dutch Valley allowing you to see Poley Mountain, beautiful rolling hills, Trout Creek, and best of all, the gorgeous red, orange, and yellow trees. 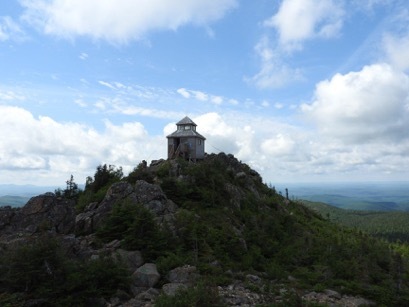 Mount Carleton Peak Trail is located just over 2 hours outside of Fredericton but is definitely worth the drive. This trail takes approximately 3-4 hours to complete and is rated moderate. The Mount Carleton Peak Trail starts by descending towards Mamozekel Stream through a mixed forest of beautiful trees. The trail then follows a ridge up to the peak, the highest point in the province, where you will find the fire tower and beautiful fall colours and green scenery located in all directions. 7. 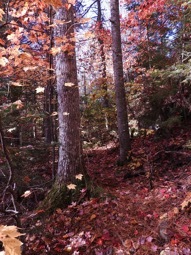 The Sweetness Trail- Rockwood Park in Saint John. The Sweetness Trail is located in Rockwood Park in Saint John. The 1.21-kilometer trail is rated moderate and takes approximately 30-40 minutes to complete. This trail is a slightly more challenging option that features a forest canopy of vivid colour and a young shrub section. The Sweetness Trail is also a popular destination for mountain bikers. The Scotch Lake Road trail is located in Mactaquac Provincial Park near Fredericton. This trail takes approximately 45 minutes to complete and is rated easy. This short loop trail showcases magnificent mature spruce, cedar, and maple trees, which are absolutely stunning during fall. 9. Flower Pot Rock - Fundy Trail Parkway St. Martins. The Flower Pot Rock Scenic Footpath is located on the Fundy Trail Parkway in St. Martins. This 1.5-kilometer trail is rated moderate. The trail features the flower pot rock, coastal views, and gorgeous views of surrounding greenery and fall colours. The Hopewell Rocks are located in Hopewell Cape near Fundy National Park. Although the walk down to the rocks is short and to many may not consider it much of a hike, during low tide, you can walk along 2 km of beach and explore several coves. 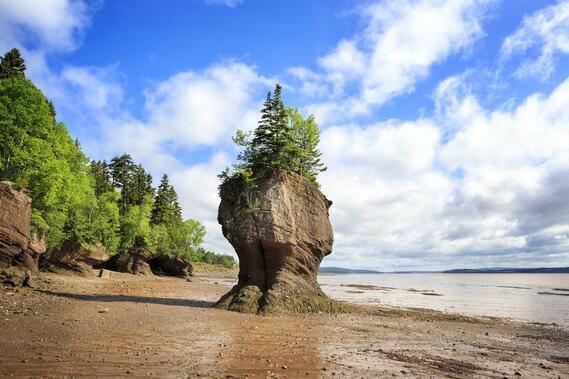 The Hopewell Rocks are a must-see any time of the year and are one of New Brunswick's top tourist destinations. New Brunswick is an absolutely stunning hiking destination. These 10 fall hiking trails truly are must-sees and are only a selection of trails. New Brunswick's nature and adventures are endless and are unique anytime of the year. When hiking during Fall, always remember to pack lots of water, dress in layers, and give yourself enough time to complete your hike before darkness falls. 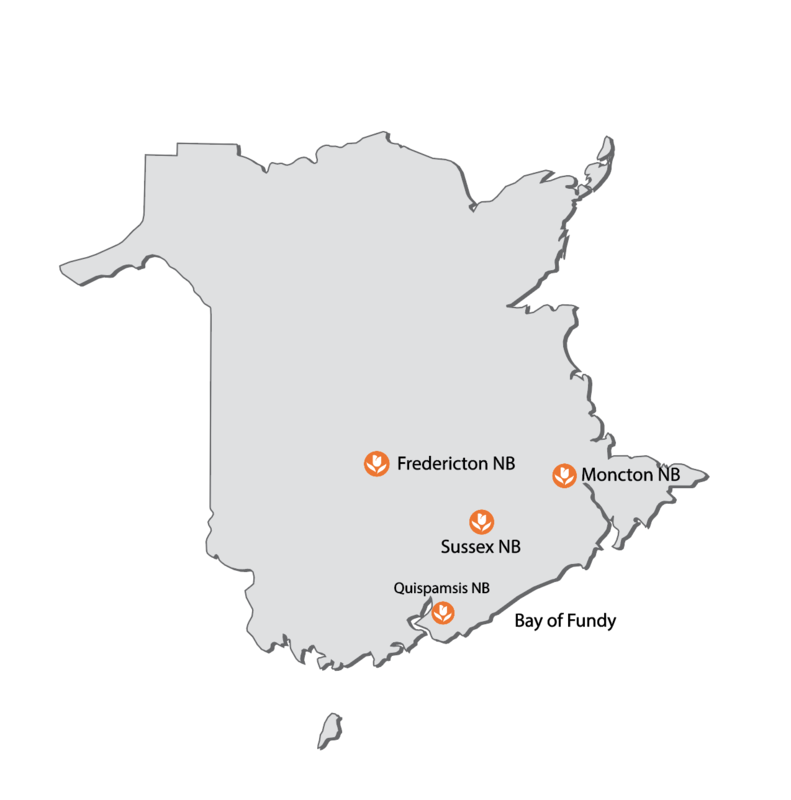 Our Amsterdam Inn hotels located in Fredericton, Moncton, Quispamsis, and Sussex are ideally located close to many of these trails, giving guests the perfect opportunity to explore the colorful New Brunswick trails. Stay tuned for our next blog!